Dear Beautiful Soul, may I ask you this? Is your HEART calling for you to have a bigger and GREATER LIFE? Do you wonder WHY you are here… and who you are meant to be and what you are meant to do? Do you suffer from depression and feel like you’re in a constant rut in your day to day life? Do you know deep down, you have more to offer the world, but you have no idea how to tap into it? Do you constantly judge yourself? Does part of you feel stuck in the past unconsciously harboring old memories that are keeping you from happiness now? Are there loved ones in your life you that you just can’t forgive? Do you struggle with lasting wealth, money and abundance? Do you long to create a beautiful, loving, sacred relationship? Do you long to create a loving, kind, and nurturing relationship with your body? If you answered yes to ANY of these questions…then you’re in the RIGHT place my love. It DOES exist. And it can be yours. Hi, I’m Rikka Zimmerman and I’m here to tell you that it IS possible to live in heaven on earth once again. To LOVE as much as you truly do, to LIVE every moment of your life fully, to ENJOY every second. I know you are ready for your life to finally belong to YOU! You see, you have been living based on the layers of separation; the information that was here when you arrived, instead of living for the REAL YOU. This 4-day Intensive Class is designed to take apart the foundation of limitation that has unconsciously been created in your life. Then, together we will create a new foundation which flows with love and is constructed from the energetic material of light and infinite possibilities. This new life will fulfill you beyond whatever you previously thought possible. You will get to enjoy every moment of your life because you are experiencing the REAL YOU instead of the layers of separation. The REAL YOU can be anything, have anything, and choose anything: a future that is better than anything you can imagine. Doesn’t that sound AWESOME? I know it does!! So if you are ready to learn the step-by-step tools, processes and vibrational shifts that I personally used to create my own DREAM LIFE, then please join me for.. I am over the moon excited to be returning to Australia after two massively successful 4 day events in 2016 & 2017— you have asked for more, so I’m coming back in 2018! If you feel your heart calling to end the separation, then please DO JOIN US! This is your life! You deserve to have it the way that you want it! And believe it or not, it’s easy! When you have the tools, processes and information that actually WORK to totally transform your life, it isn’t hard. I can’t wait for you to be THIS EMPOWERED. I just wanted to share with you and the team how amazing “being me” in the world has been. The children on my flights were happy, the adults were calm. Walking through the airport felt like the waters parted for me, path cleared, no stress, totally fluid ease. I arrived home to fresh flowers and a clean kitchen, compliments of my beautiful son’s, fairy princess girlfriend, Jayde. Sean, my son, cleaned out and vacuumed my vehicle. I’m so excited about you receiving this class! When people ask me to assist them in transforming their lives during an online course, I only have 10-15 minutes to work with them individually during our live calls. With such limited time, I’m only able to shift one piece to a much larger puzzle. This 4-day intensive will give you ALL the pieces to your puzzle so that you can receive a total transformation in each and every area of your life. Imagine transforming your wealth, health, relationships and overall happiness in just 4 days. How can you say no to that! Discover the foundation of limited reality & how to outsmart it to transform anything in your life. Experience what it’s like to finally stop judging yourself for good! The secrets to creating lasting wealth, money and abundance! Rikka's Total Transformation 4-day immersion teachings and energy activations COMPLETELY rocked my world!!! My life will never be the same and I am more in touch with the love, light and joy that is me and my purpose on planet earth than I have ever been and wow, I am feeling it more and more every day!!! I have been on the transformational path for 5 years and after much searching, seeking and striving this has finally brought me home...to me. I just wanted to share with you and the team how amazing "being me" in the world has been. The children on my flights were happy, the adults were calm. Walking through the airport felt like the waters parted for me, path cleared, no stress, totally fluid ease. I arrived home to fresh flowers and a clean kitchen, compliments of my beautiful son's, fairy princess girlfriend, Jayde. Sean, my son, cleaned out and vacuumed my vehicle. I cried, I felt so loved. Before I left I wasn't able to pay my rent and travel expenses, now my rent is flowing in with kindness, love and appreciation from old clients and new. I love my life! It's so much fun being an angel 🙂 Hugs and appreciate beyond words to all of you. A Most Excellent time. With 150 of the most amazing beings on the planet, we entered realms of energy and love that are truly divine. I've gotta wait for the recordings of the class to find out what was happening. (Grin). So much Love, such wonderful people. Dang, I'm gonna have to get a new set of words to describe it! I released so much stress and tension in this class; I feel I have been lifted into a whole new way of being. I learned that I love that warm, beautiful, precious tender self that I have always been, I just forgot. I know now how to surrender to the depths of my infinite self to bring me into total love. I feel so much more spacious, loving, self-loving, present, and purpose filled. I experienced a divine homecoming and disintegration of the illusionary blocks and integration of my real loving, angelic essence. I received so much from this class! What I loved most is seeing my true self-divine love being, one with all, one with god. I feel total bliss and peace, and love. total love. Before this class, I had low self-esteem and lived in a very small, quiet box and didn’t allow many people in. As a result of this class, I feel complete and total forgiveness of my parents. I feel as though I’m bursting with love and complete acceptance for myself and others and a deep sense of connection with other people and my guides and angels. Rikka is so powerful and full of knowing, guidance and LOVE. I felt so loved in this class by her and all the others, more than I’ve felt in a millenium. I feel lighter, clearer, and more whole; I have me back!! In this class, I opened the highway to heaven and met and experienced and embodied god. I came home to me in this class and it feels so great and possible to stay here infinitely. I have moved into so much more love - being love and receiving love. The pain in my body has reduced and I am open and receptive. Loneliness was my biggest emotional block; I now feel loved, spacious, interconnected and home with my soul family. Physically before class I was experiencing nausea, imbalance, and headaches from past accidents. During this class, for the first time in two years, I woke up without any headaches or nausea. And I know I can continue this reparation from home! During this class, I faced the fear of swimming in the ocean. I experienced the return to myself, and remembered that I am LOVE. Now, there is only joy, laughter, peace and beauty! Because of this class, I experienced a realization of my enormous power in every moment. I celebrate myself and have let go of all the patterns that do not honor me any more. Before coming to this class, I totally hated myself and felt I could never be or do enough and felt like there was little choice but to be depressed. This class was inspiring, joyful and peaceful beyond belief. I now finally feel self-love. My depression has lifted and I am aware of how ease is the natural way of being for me in this world. This class was an existential, out-of-body healing and reconnecting. I released stubborn, clinging content revolving around looking outside of me for God love. I also realized I love receiving and most particularly, receiving ME! This class for me was an opening to bliss and truth. I rose up to my highest self, released my human-ness with love, and have arisen as the true goddess I’ve always been. I am embodying my magnificence, living in full possibility, my heart is wide open and connected to everyone. I am oneness, I am love. Because of this class, I have come to realize how precious the energy I’m bringing on to the planet is and that I have an orchestra of angels and light beings cheering me on! I know that wherever I have energies coming up in my system to be let go of, I can choose love, gratitude, support and guidance. I don’t have to struggle any more!! This event was a deep and profound divine experience, where I was gifted incredible amounts of knowing and love, and being in the grace of receivership, the shackles came off and I was given the green lights to truly embrace my true being of magnitude. This class was life-changing. Months before I even knew about this class, I knew I was about to take a new journey, I could see I was about to take steps to a higher vibration. I started letting go of heaviness, old relationships and stuff holding me down. I am so glad this retreat found it’s way to me. I trust in my own purpose now and I know that I am being held by divinity; there is a plan and I am part of it. I just have to relax and follow the energy. This class was truly life-changing! I have never felt so loved and supported; this retreat was a safe space for me to relax and let go of my old content. I feel like I’ve finally met people who are like me; for me, this is huge; I felt connected to everyone in the class. I feel more confident in my own being with none of the old stories or events holding me back. I’m not worried about the future, I’m excited to see how it unfolds. I’m not worried about being in the “real world” anymore. I’ve got this! Prior to this class, I felt like a pinball in a pinball machine, bouncing back and forth between divinity and reality. In class, I stepped into more of loving, accepting, and approving of me and now I feel like I am more of me - the real me - than I have ever been in this lifetime. In this class, I experienced deeper integration, knowing, love of me and my path. I am now living in my heart and know how to stay here. I feel so much more in love with my husband, and I know that I no longer feel responsible for saving the world! Secure Your Spot at this AMAZING Event! Live activations, facilitations and teachings, directly from Rikka! Two manuals of Rikka’s tools and processes that work to transform anything from 10 years of facilitating thousands of people. July 19th- 22nd 9:30am- 6pm: Life Transformed 4-Day Intensive. Arrive the day before on July 18th or early morning July 19th. Depart later evening of July 22nd or 23rd (class ends 6pm). in conjunction with the Life Transformed 4 Day Intensive Australia are proud to be offering discounted rates! and enter AIORetreat in the Promo Code section of the Reservations Panel! Our Life Transformed coaches from Australia have created an amazing opportunity for us to gather for this event. Rikka is honored to be their special guest. NEED SOMEONE TO TALK TO ABOUT THIS LIFE CHANGING EVENT? 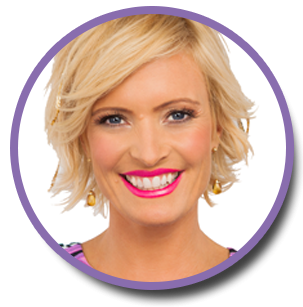 Feel free to contact our Australian Angel Host Marita Wright. She is available by phone or email to answer any questions you have! Live In Person Events: Adventure in Oneness® does not offer program refunds for any reason. There is no drop-out option. To protect the integrity and quality of the Life Transformed™ experience for all participants, participation in the program is nontransferable.